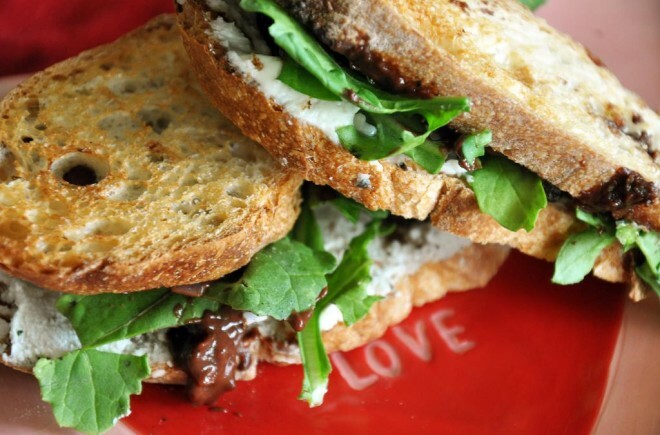 Take chocolate to the savory side and impress your Valentine this year. 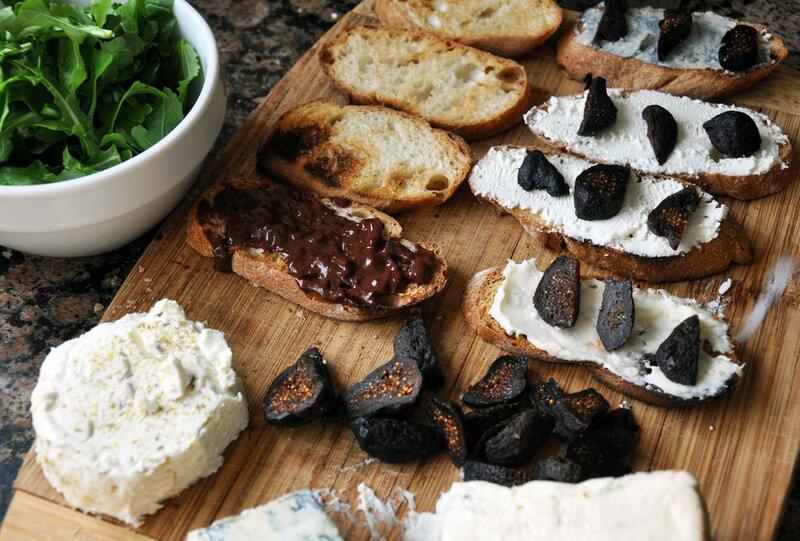 Port and rosemary-infused chocolate sauce is spread thin on garlic-rubbed toast and complemented by peppery arugula, dried figs and the soft, gooey cheese of your choice. I preferred a fennel, lavender goat cheese while Michael loved the sharp, salty bite of gorgonzola. An easy weeknight pleaser that comes together in less than 30 minutes. In a medium pot over medium heat, melt butter. 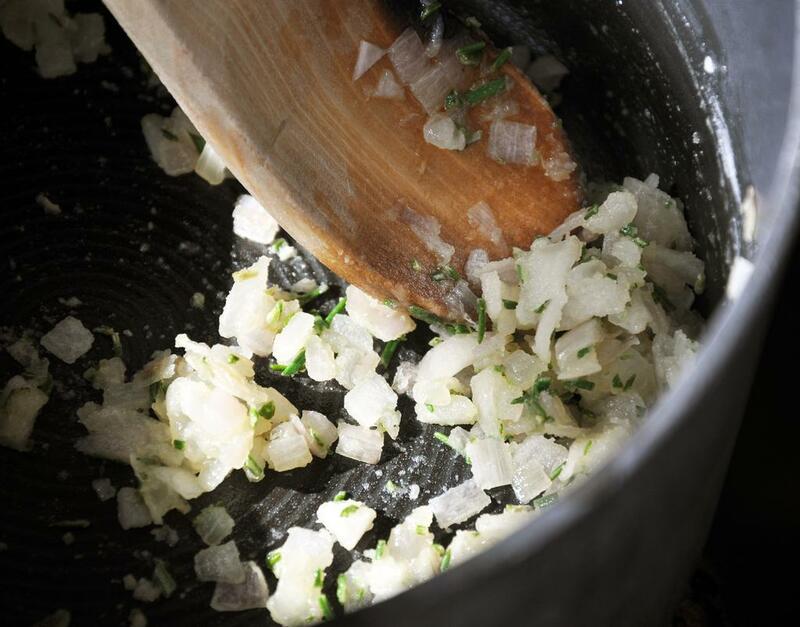 Add shallot and sauté 3-4 minutes, until translucent. Add rosemary, cook 1 more minute, and then add flour. Stir in well to incorporate all the flour. 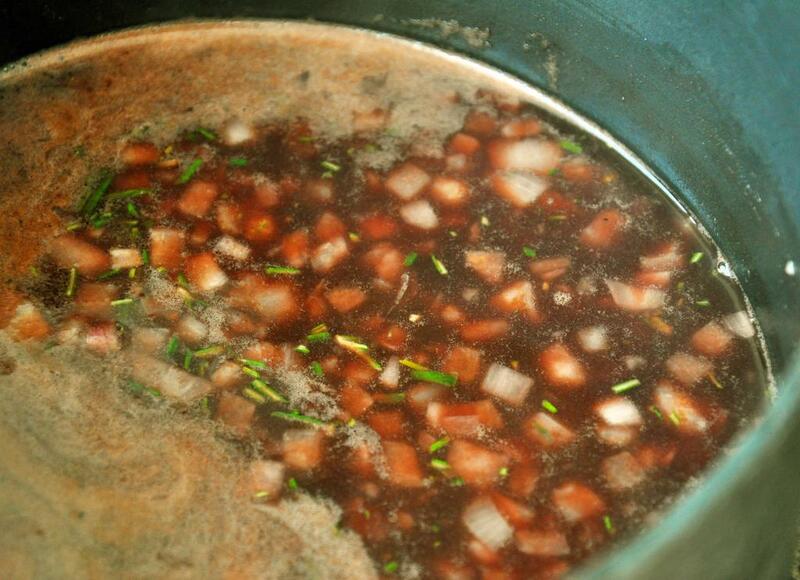 Add vinegar, port and broth and bring to a boil. Turn heat to low and add chocolate. Stir until melted and let simmer 15 minutes. 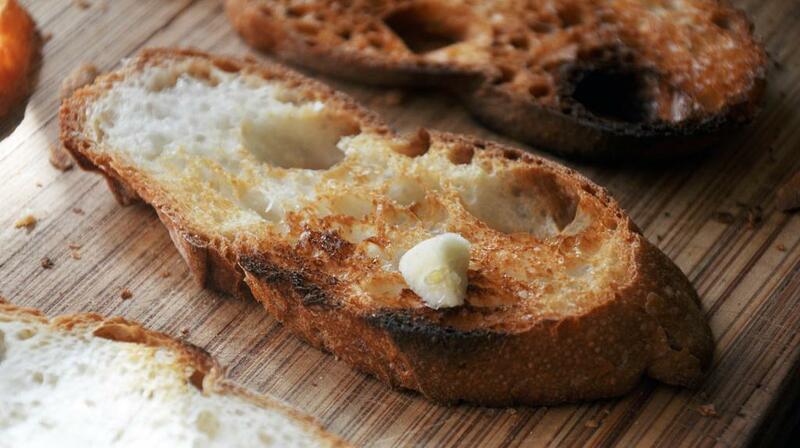 Meanwhile, toast bread and while still warm, rub with raw garlic.